Today, smart business leaders understand that meaningful data can help them make better business decisions. Here at ADP, we know big data. We’re the company that pays more than two million workers in Canada. Clients trust us to provide reliable products and services and in return, we are constantly looking at new ways to improve and enhance the value that we provide to the Canadian market. Today is one of those moments. We are proud to have launched the first monthly ADP Canada National Employment Report, which provides a snapshot of nonfarm payroll employment changes in the Canadian labour market. This report will provide in-depth, actionable insights that will help employers devise more informed strategies to address complex workplace challenges. 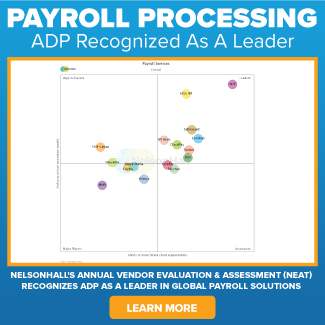 And, the ADP Research Institute® (ADPRI) has proven it. Similar reports have already been launched by ADPRI in the U.S., France, and the Netherlands. In fact, it has been produced in the U.S for more than a decade and today, it is an essential tool for measuring the monthly change in U.S. nonfarm private employment. It has informed the conversation around the economy, become a critical indicator of U.S. private sector labour market activity and emerged as a reliable predictor of the U.S. government’s jobs report. The ADP Canada National Employment Report will offer similar insights here in Canada and become a valuable tool for business leaders, policy and government decision makers. This report is just one of the ways we continue to demonstrate our thought leadership in the area of workforce management, enhance our value to our clients and enable you to put your best foot forward in the workplace. 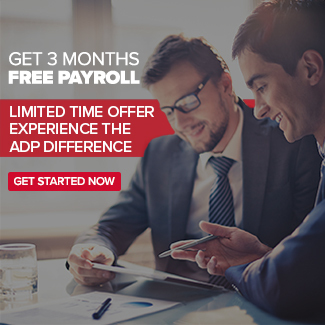 As business moves increasingly faster, we, at ADP Canada, are committed to helping you adapt to change and creating cutting edge solutions to meet your HR challenges. Holger Kormann is president at ADP Canada.